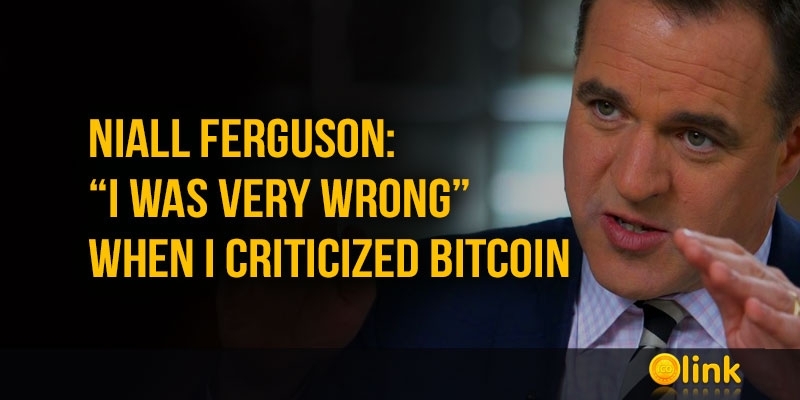 Niall Ferguson | Author of the book "The Rise of Money"
The cryptocurrency skeptic and author of the book "The Rise of Money" Niall Ferguson admitted that he was wrong when he criticized Bitcoin and blockchain technology, calling them "a complete illusion." "I was very wrong," Ferguson said. "Wrong to think there was no … use for a form of currency based on blockchain technology." This is not the first such recognition of Ferguson. Previously, he already expressed regret that at the end of 2014 he did not listen to his son, who offered him to buy Bitcoin. "If I had listened to my son, I would have increased the dollar value of my investment by a factor of 45—or, if you prefer, I'd have made a return on the investment of 4,436%," Ferguson wrote in late 2017. "The moral of the story is clear: when it comes to technology, pay heed to teenagers," Ferguson wrote in late 2017. The price of the first cryptocurrency soared from less than $ 1,000 to almost $ 20,000 in 2017. Many experienced economists and experts called this a fraud and advised potential investors to stay away. At the same time, he expressed the opinion that even after the cryptocurrency bubble bursts, Bitcoin will still be used as a means of accumulation, and the blockchain technology will be used "to carry out the most multidirectional transactions." Ferguson's recent recognition is especially valuable in that he did not give up his new views even against the background of the last 80-90% cryptocurrency depreciation, which he previously considered as one of the possible scenarios for the situation.